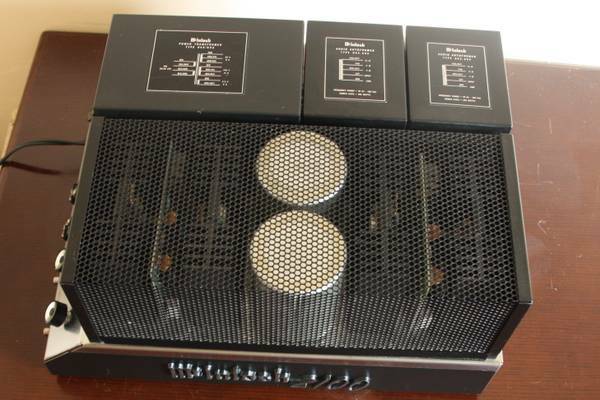 McIntosh MC-2100 Power Amplifier is in Beautiful Condition, The chrome is shiny, all lettering is intact. This McIntosh MC-2100 Amplifier is very transparent and sounds awesome. 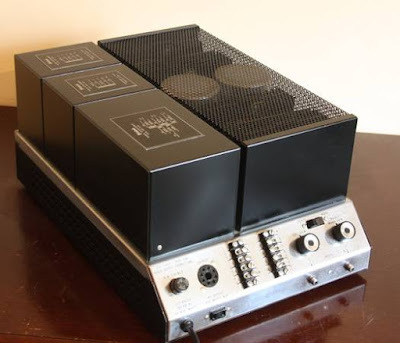 MacIntosh made two versions of the MC210X amp with same circuitry, the 2100 (with no meters, looks similar to their classic 50s tube gear) and the blue-metered 2105. 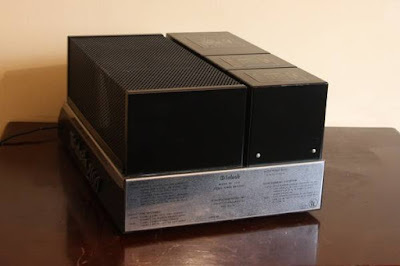 Part of Mcintosh's first generation of solid state amps and great classic, big, solid bass sound. Not thin of overly bright like so much later solid state. Very close to tube sound, with better bass. Huge soundstage, plenty of headroom. A lovely amp. Power Output: 105w/ch stereo. 210w mono. Output impedance 4, 8 and 16 ohms (2, 4 and 8 ohms mono).